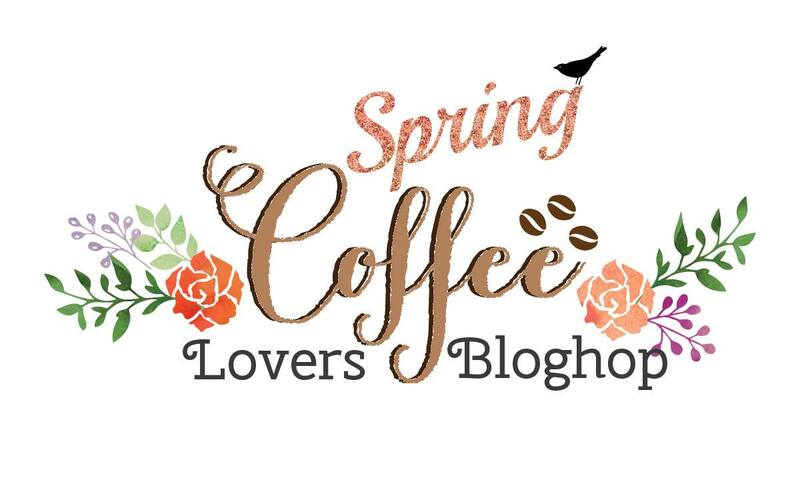 Today I am joining in the fun at the coffee lover's blog hop hosted by the super sweet and talented Amy Tsurta. 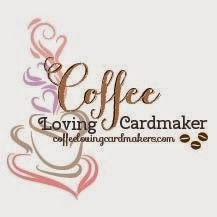 I am lucky to know Amy in person and can attest to her love of coffee! We have met at a local Starbucks on more than one occasion!! I made a fun coffee card and paired it with a cute mini cup. These tiny things are so adorable! I tried to make my cup on the card look like the actual coffee cup! 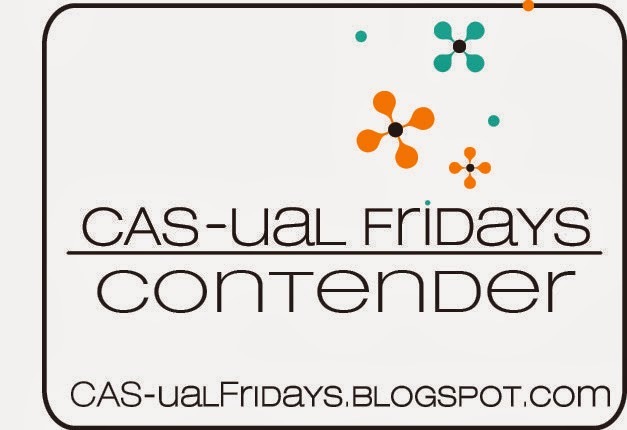 Are you joining in the fun today? There are lots of prizes to be won, so grab a cup and get inspired! Thanks for stopping in today. 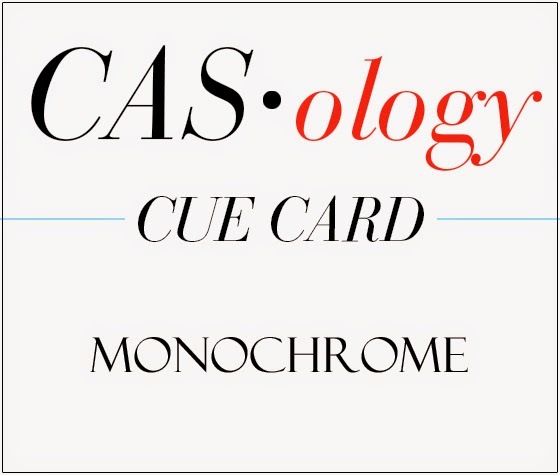 I have a card to share today that I made for the current CASology challenge where the cue word is MONOCHROME. I started with a soft pool card base and stamped the foliage stamp in tide pool ink at the top. I die cut the Hero Arts Thank You from the same soft pool paper and also from some fun foam to give it dimension. A pretty easy card to make - the hardest part was gluing the paper die cut to the foam die cut and getting it lined up!! I am also entering this into the Hero Arts nature challenge. I love the soft look of the leaves coming from the top of the card! Have a great day! Any exciting plans for the weekend? I am getting together with some crafty friends on Saturday - so that will be fun! Often there is more talking, laughing and eating than there is crafting - but that's okay with me! 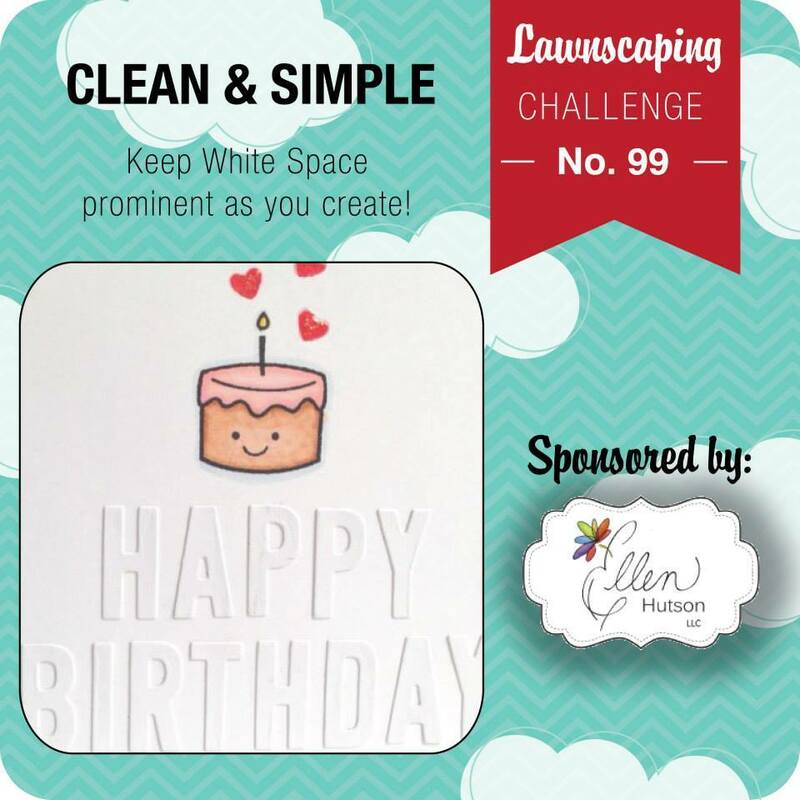 Today I have a card made with the new Lawn Fawn Milk and Cookies stamp set. Aren't the little images just so cute? I love how you can put the smiley face on the individual images! This set even comes with a frowning face for the cookie that has a bite out of it!! Too funny. I will have to use that image next time. But for this card, I used the carton of milk and the cookie jar. I colored them with my copics and added the cute straw to the milk carton. I stamped the sentiment to match the curve of the tag and added some lawntrimmings cord to the top of the tag. 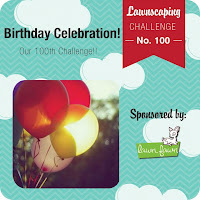 I am entering this into the current Lawnscaping Challenge - where they are celebrating 100 challenges!! Woo Hoo! Hello and Happy Heart Day! 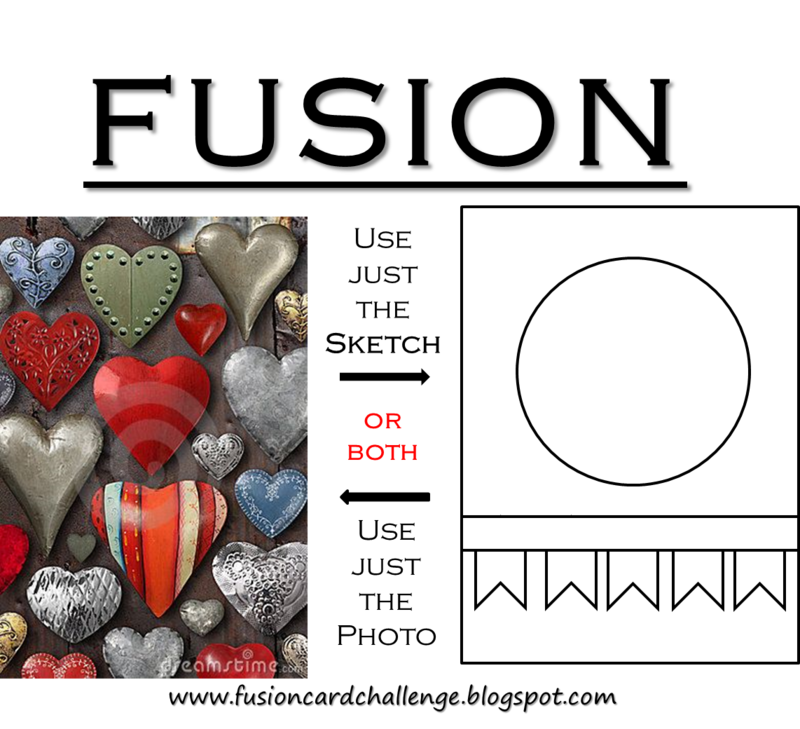 Today I am sharing two cards - both Valentine's Day cards (shocking I know!) 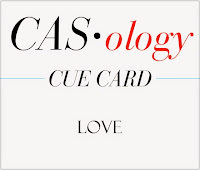 I am entering them into the current CASology challenge where the cue card is LOVE. The second card didn't even require any stamping! The hearts were left over from the goodie bags I made last week. And the sentiment at the bottom is a washi tape. The middle red heart is popped up with a foam heart behind it to give it a little dimension. Hope you are having a great Valentine's Day and you and your sweetheart have something special planned! Today I am sharing some cute goodie bags I made for Valentine's Day. I used the Lawn Fawn Goodie Bag die and some patterned paper from My Minds Eye. I cut the bags from some solid red cardstock, and then cut just the front panel out of some Valentine patterned paper. 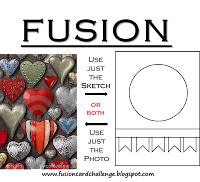 Then I lined up the pattern piece over the solid piece and ran it through the Big Shot one more time with the heart or circle die cut to cut the shape out of the front of the bag. The next step was to glue the parts together, sandwiching a piece of clear plastic between the front panels. I then assembled the bags, filled them with Hershey's Kisses and tied on some twine and a little sentiment tag! 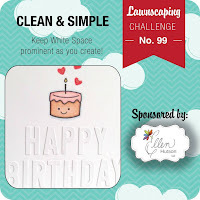 Easy Peasy and oh so cute! 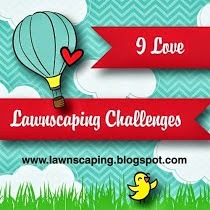 I am going to enter this into the Curtain Call challenge where the theme is kissing booth and the Lawnscaping Challenge, where the theme is clean and simple. 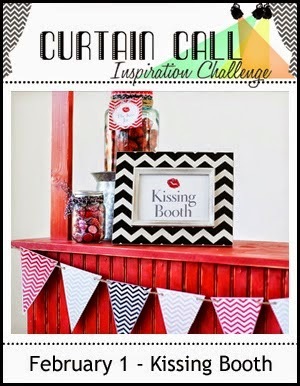 The curtain call inspiration photo has jars of kisses in the background and chevron pattern on the picture frame. I used chevron paper and lots of kisses in my project!! Today's card was made for Virginia's View Challenge. Then I realized it would work for the Fusion Sketch Challenge too, so I am linking it up to both! 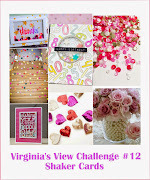 Virginia's View challenge is to make a shaker card! 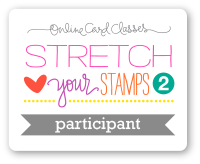 I love shaker cards and so does my 12 year old daughter! This is going to be her Valentine card this year - I think she will really like it. I die cut a Savvy Stamps heart die out of some My Mind's Eye Valentine patterned paper. I covered the opening with some clear packaging, filled it with some tiny pink and red gems along with some tinsel glitter ( which seems to stick to the clear sheet!) It is very sparkly in real life! Since the patterned paper was so pretty, I didn't want to cover it up with a sentiment, so I put that on the inside. Today I am sharing a card I made for my sister and her husband as they celebrate their first wedding anniversary! I thought these cute owls from Hero Arts were just adorable! I colored them with my copics and cut them out so I could frame them in the Lawn Fawn frame. Then I popped the whole thing up on some background paper from a My Mind's Eye 6X6 Valentines Day pad. Yesterday I met up with some crafty friends for a get together at Amy's house. There was a lot of talking, eating, laughing and a little bit of crafting! But one card that I did make was one that Katie had brought to share with us. This is so cute with the 12th man flag flying on the Space Needle! And the green color of the spritz on the card is the perfect Seahawk green. Living in the 'burbs of Seattle, today's game is a big deal around here! We are all decked out in our blue and green and ready for the game to start! GO HAWKS!